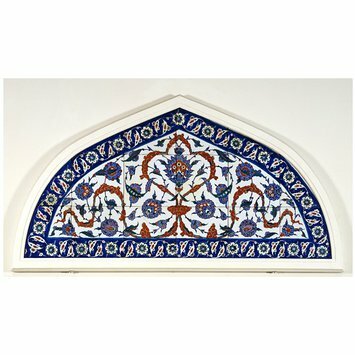 Historians think panels of this type come from the mosque of Piyale Pasha, north of Istanbul. They were probably placed over the large windows in the prayer hall. The design is self-contained. A cloud band in red extends across the whole of the main field, intertwined with scrollwork set with leaves and rosettes. Spandrel-shaped panel of tiles with prominent red cloud-bands snaking around blue flowers. 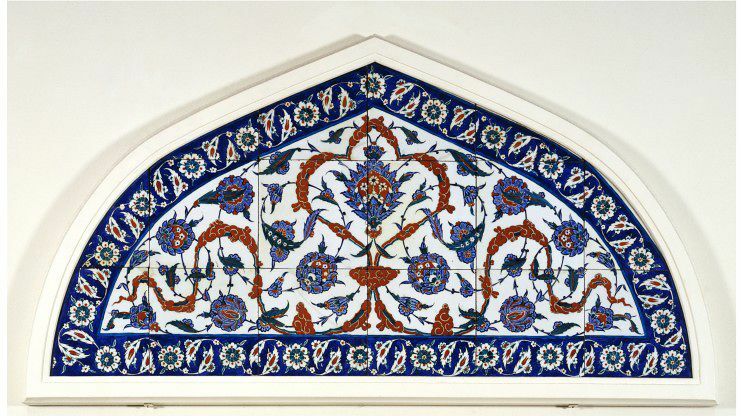 Lunette panel, Turkey (Iznik), 1570-75. Arthur Lane, A Guide to the Collection of Tiles, London, 1960, 21. 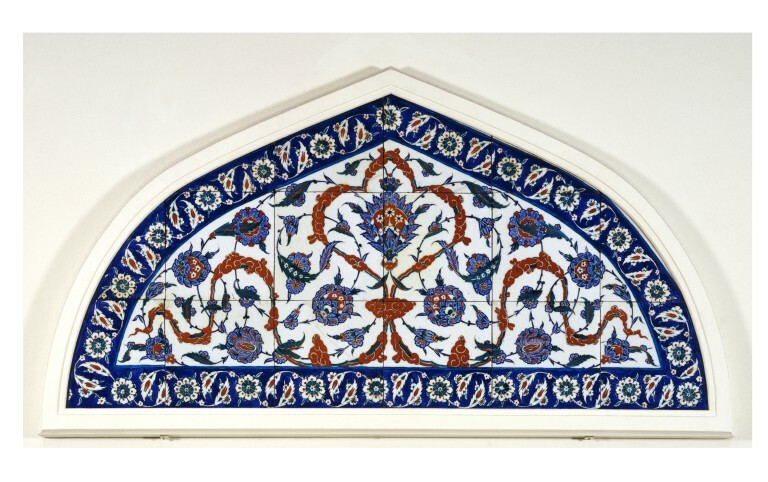 Panels of this type are thought to be from the mosque of Piyale Pasha, north of Istanbul. They were probably placed over the large windows in the prayer hall. The design is self-contained. A cloud band in red extends across the whole of the main field, intertwined with scrollwork set with leaves and rosettes. Believed to have come from the mosque of Piyale Pasha, the Ottoman Grand Admiral (built 1573-74).